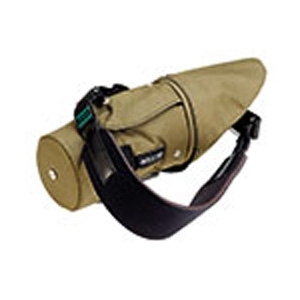 Opticron MM3/MM4 50 GA ED Stay-On Case. As Black models but supplied with a fully adjustable neoprene carry strap for extra comfort. Water resistant multi-layer padded cases individually designed to fit each model. Protects instrument while fitted to a tripod and in use. Includes removable end caps and adjustable carry strap.